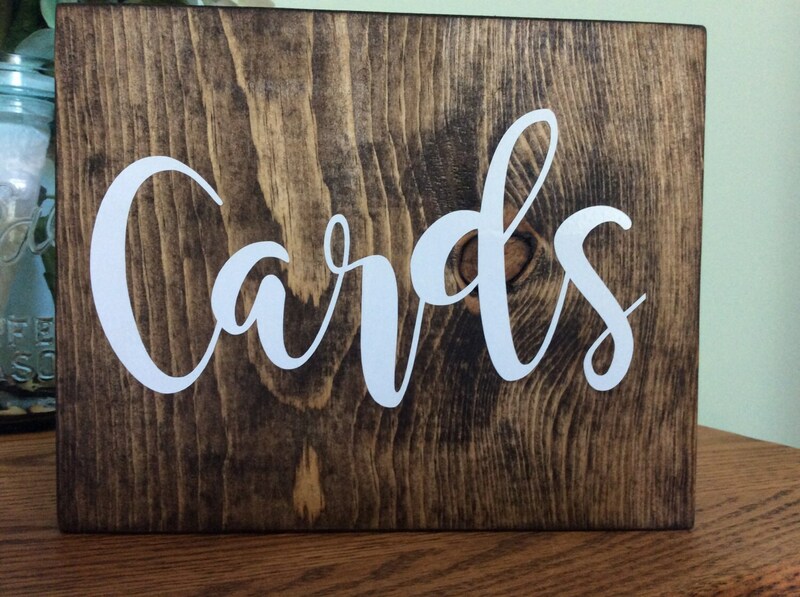 These cute signs would look perfect on the any wedding table! It add a rustic chic touch to any wedding. 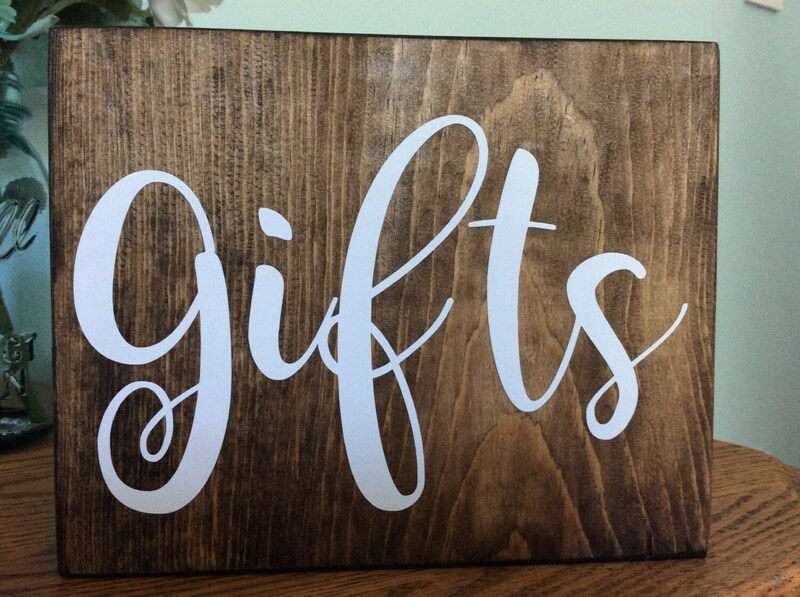 *WHAT YOU GET* Two stained pine board with white outdoor vinyl detail. *MEASUREMENTS* Each pine board sign is 6" wide by 7" tall. Please visit my shop! 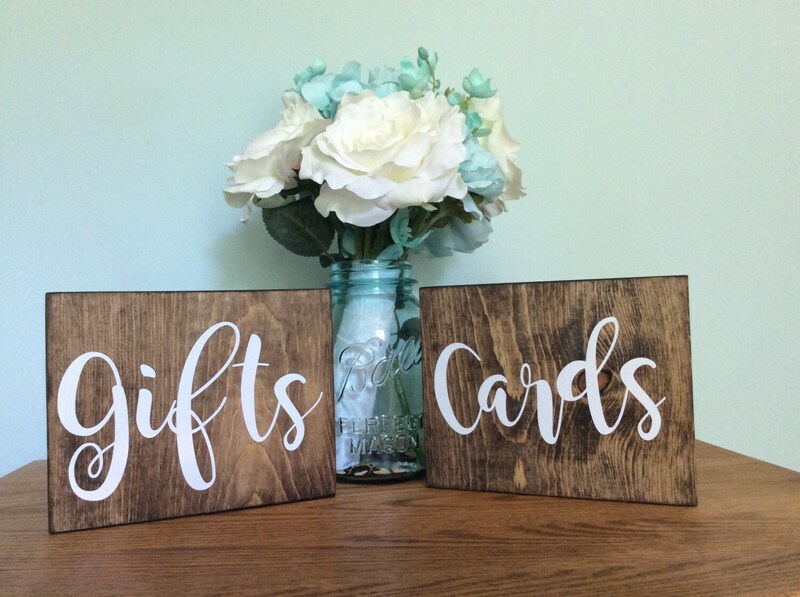 It is full of personalized wedding decor!